Spring and summer sure bring a lots of fresh veggies. There are so many delicious ones making it hard to decide which ones to cook with first. There are fresh tomatoes, zucchini, green beans, corn and asparagus. Asparagus is one of my favorites and a fabulous vegetable to cook with. This bright green veggie is packed with vitamins A, C, E, K, and B6, as well as folate, iron, copper, calcium, protein, and fiber. It has plenty of goodies that will help your body perform at its best. 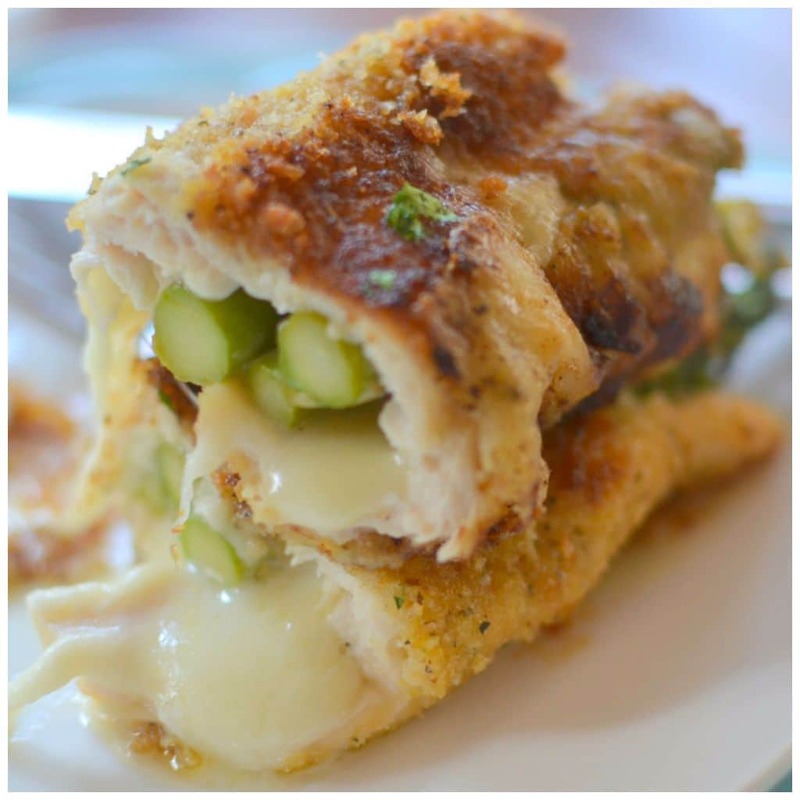 This One Skillet Asparagus Stuffed Parmesan Chicken is loaded with asparagus, mozzarella and Parmesan all wrapped in a crisp fresh bread crumb coated chicken breast. The good for you asparagus helps to keep the chicken moist and it is all prepared in one ovenproof skillet. It is amazing and will give your taste buds a run for their money. Does anyone even use that idiom anymore? Have you tried my Easy Pan Fried Chicken and Cream Gravy, One Skillet Savory Chicken and Orzo or Easy Skillet Thai Chicken Wraps? Chicken is so versatile and each one of these dishes has a unique fun flavor and flair to them. 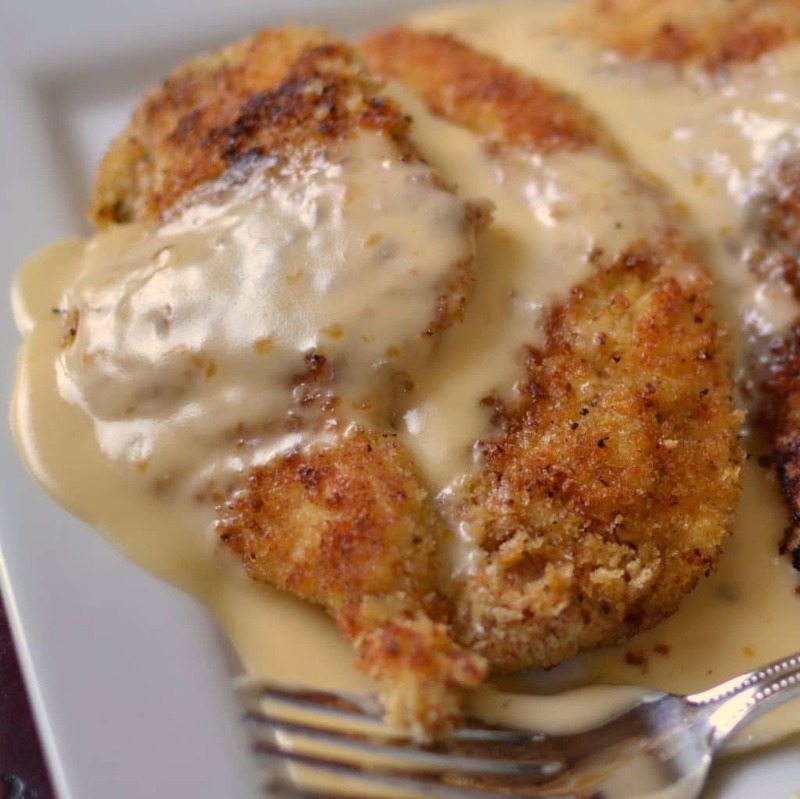 Do you have a favorite chicken dish or one you would like me to put on my “Recipe to Do List”? 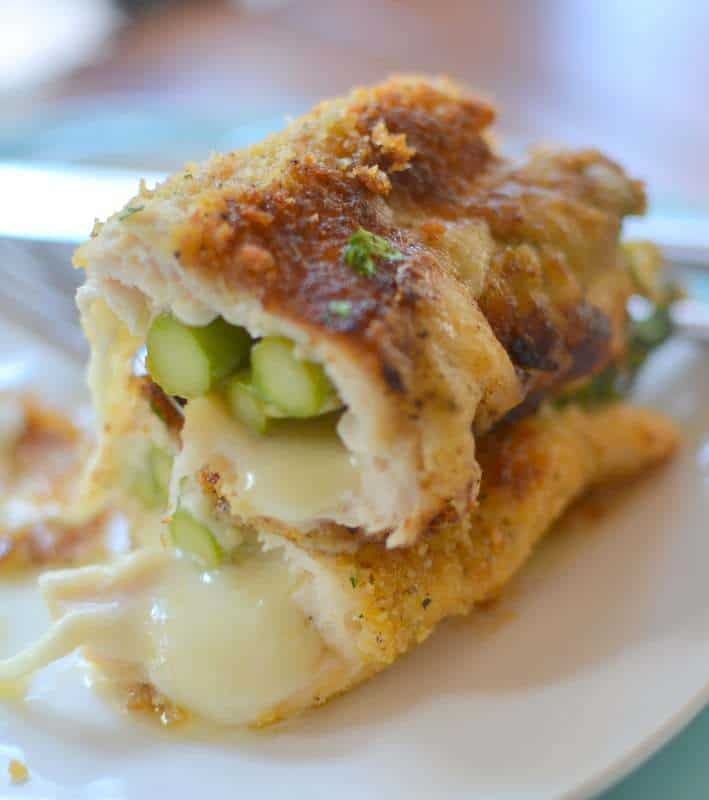 The prep work for One Skillet Asparagus Stuffed Parmesan Chicken is literally about 15 minutes making it easy enough to prepare during the week. You can get four servings out of two large chicken breasts making it an economical dish as well. It is a full meal when paired with a fresh baked potato or rice. 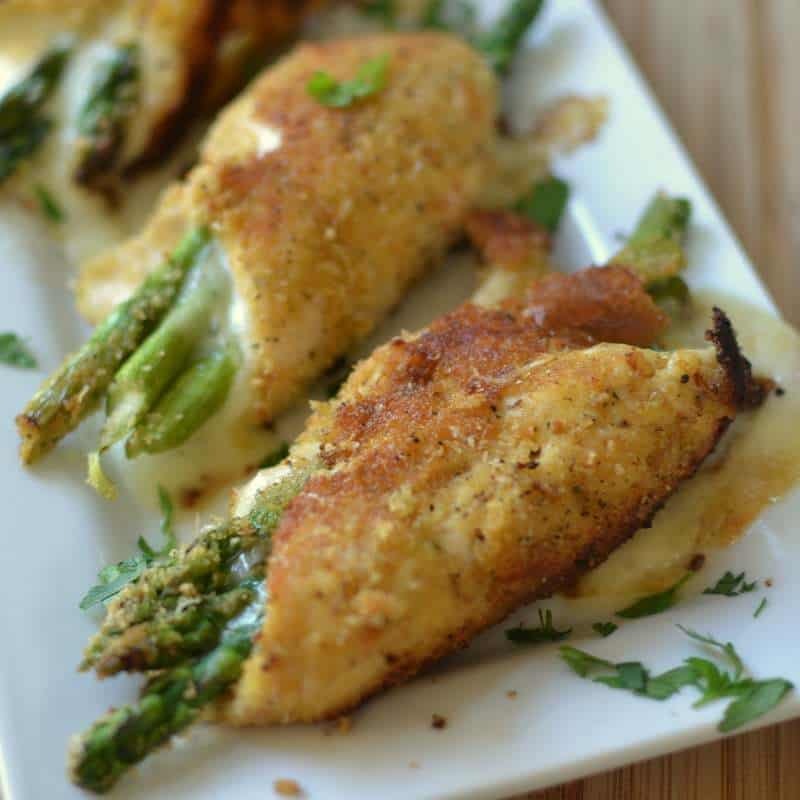 The flavor combinations in this One Skillet Asparagus Stuffed Parmesan Chicken are delectable and are sure to please even those with a discriminating palate. You know who you are. Sometimes for a change up on this recipe I will serve it drizzled with warm marinara or slightly warmed sliced cherry tomatoes. Enjoy! In mini food processor or large Ziploc bag crumble croutons. Add oregano, basil, garlic powder, onion powder and 1/4 cup Parmesan. Pulse or shake to mix. Pour in shallow bowl. Pound chicken to 1/8 inch thick. 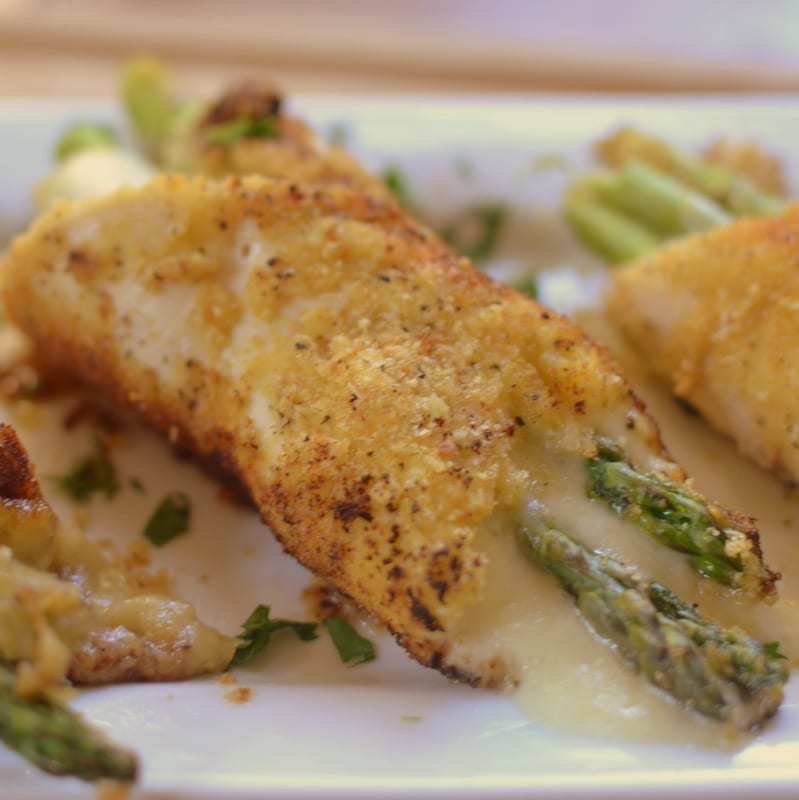 Place 1 slice of mozzarella, 1 tablespoon Parmesan and 3-4 stalks of asparagus on each piece. Roll up lengthwise and secure with toothpicks. Place beaten egg in shallow bowl. 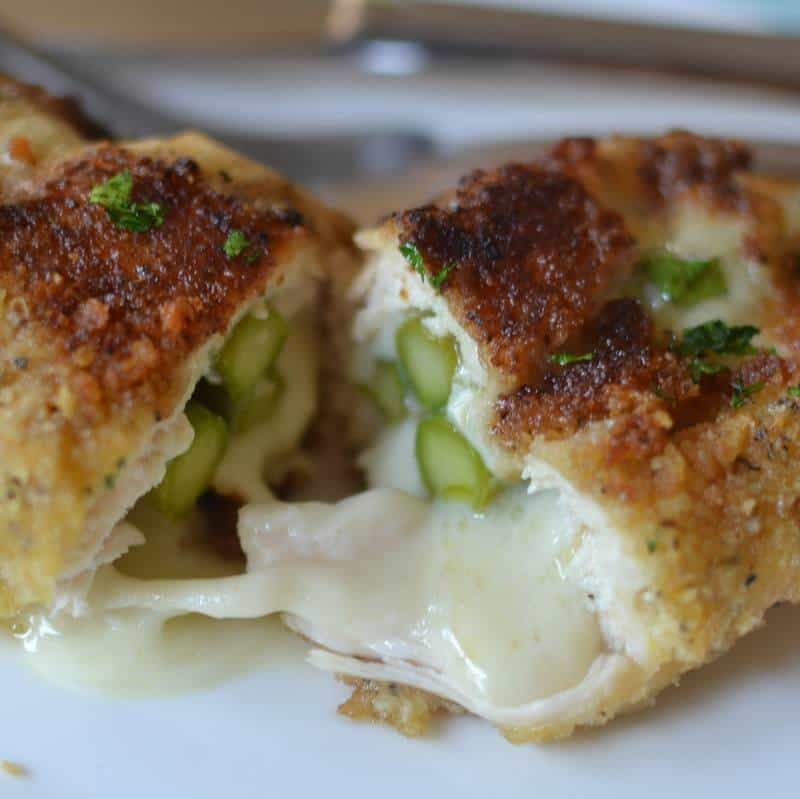 Dip chicken in egg and roll in bread crumbs. Preheat oven to 350 degrees. Heat olive oil in large ovenproof skillet over medium heat. Brown chicken on all sides. Cook chicken in oven for 10 minutes uncovered or until cooked through. If serving with marinara; warm marinara and drizzle over the top. 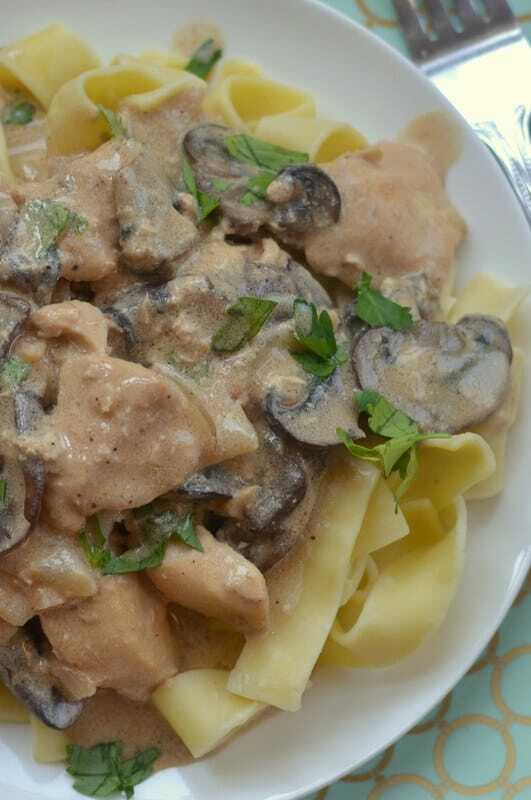 Other delicious chicken recipes you will love!